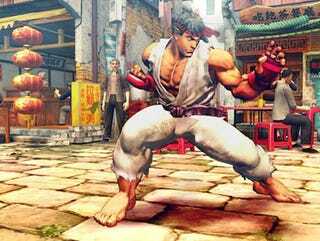 Capcom made quite a splash in 2008 when their near reboot of Street Fighter IV combined the depth and detail of 3D graphics placed over the traditional controls and mechanics of a 2D fighting game. The developers liked the 2.5D effect so much they decided to apply it to upcoming Wii fighter Tatsunoko vs. Capcom: Ultimate All-Stars and producer Ryota Niitsuma tells Kotaku that all Capcom fighting games for the foreseeable future will also use the visual effect. "I think that was the best way to present the Capcom and Tatsunoko characters to their fullest," Niitsuma said through a translator. "I think at Capcom one of our specialties is 2D fighting action and we have had a great history of making games like that. "The 3D models on a 2D plane is a very good match and all of the (game) systems are capable of supporting such a feature. When making such games we can show our knowhow. Going out into the future I can't say it will remain like this forever, but for the forseeable future I can see us making our games in this style." In some ways, giving Capcom games 3D graphics without messing with the company's fighting system allows them to update the look of the game without reinventing them. But Niitsuma says that isn't the biggest challenge he faces as a fighting game producer. "I think one problem that fighting games have is that there is a real split between hard-core fighting game fans and casual gamers," he said. "I don't think there has been a game made that addresses that divide. You have a lot of good fighting games out there, but the problem is that the learning curve is pretty intense. You have these casual fighting fans who get overwhelmed by that." "From here on out whenever we are making a fighting game the challenge is to make a game that appeals to fighting game fans and draw in new fans. That's my a personal challenge."